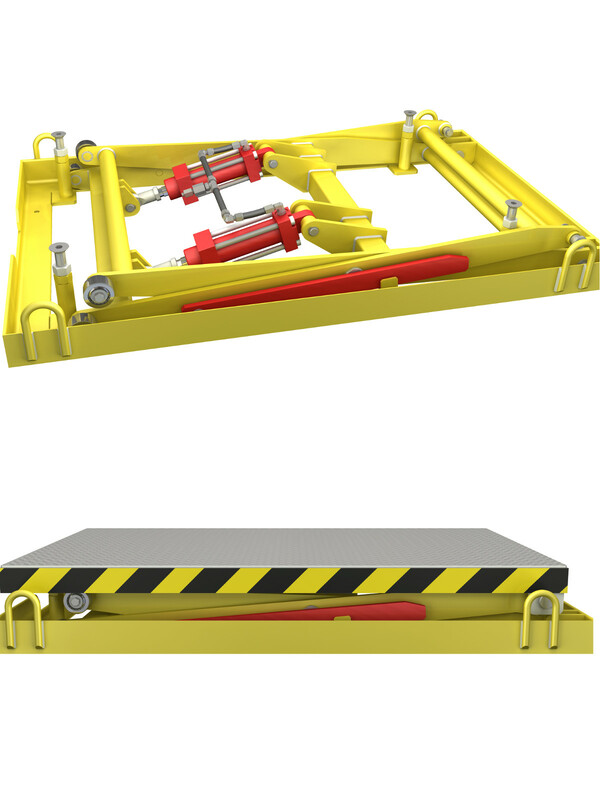 Project of hydralic table lift with permissible load 500kg, based on welded steel frame. 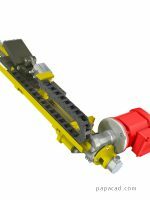 Two HP-Systems single action hydraulic actuators and SKF bearings as rollers. 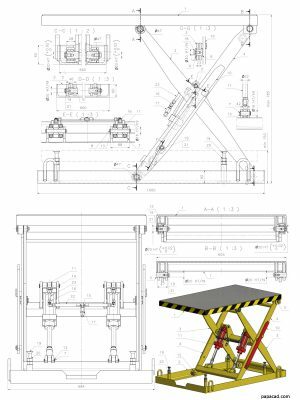 We present CAD design of the hydraulic scissor lift. This is professional project with complete of executive parts, purchasing parts, BOM lists. 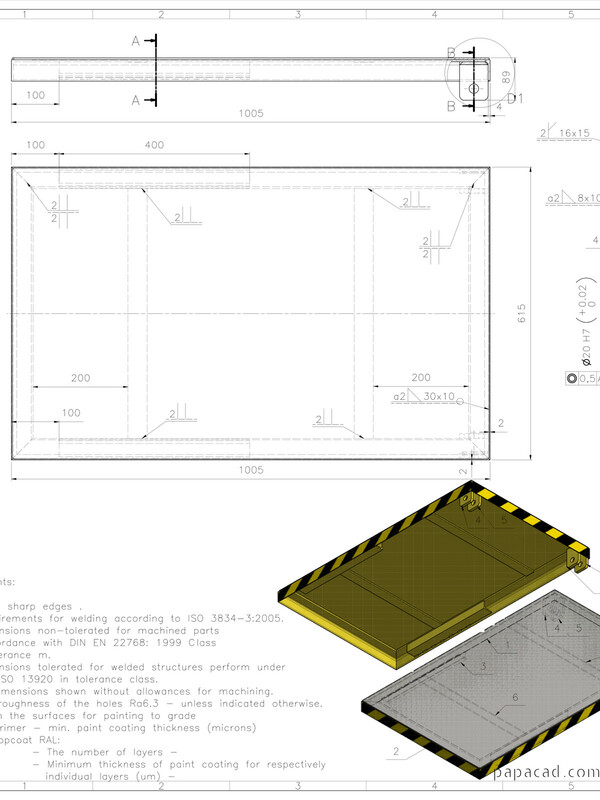 Design includes complete working documentation in technical 2D drawings, DWG and PDF formats. 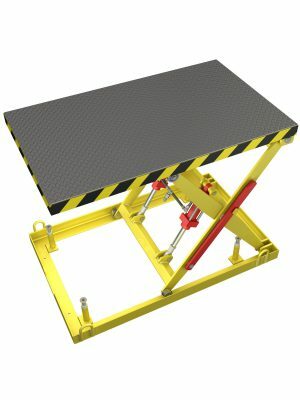 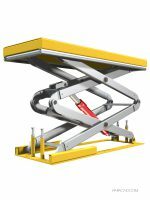 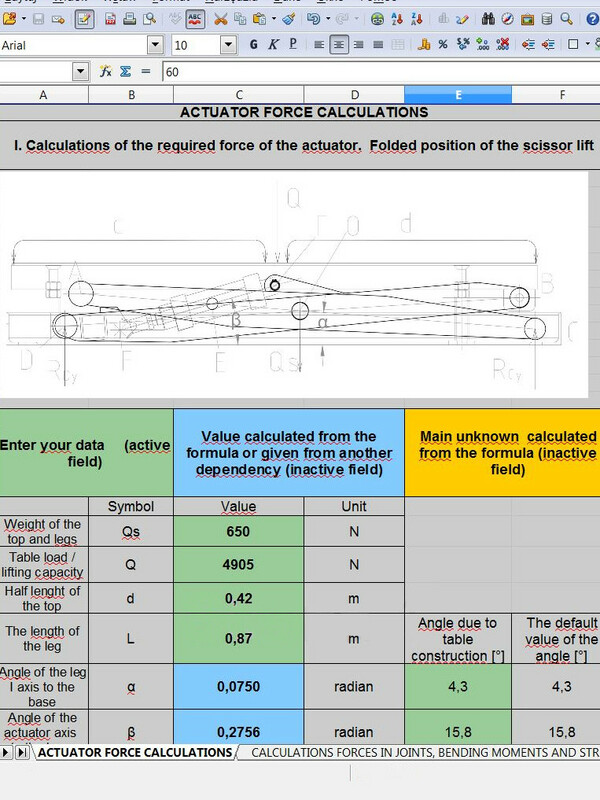 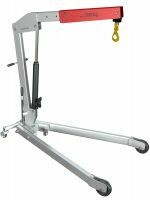 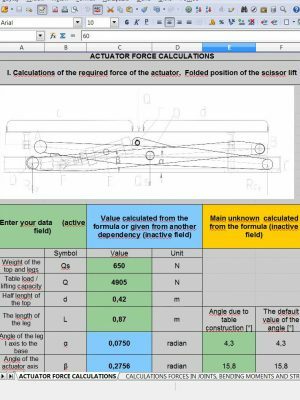 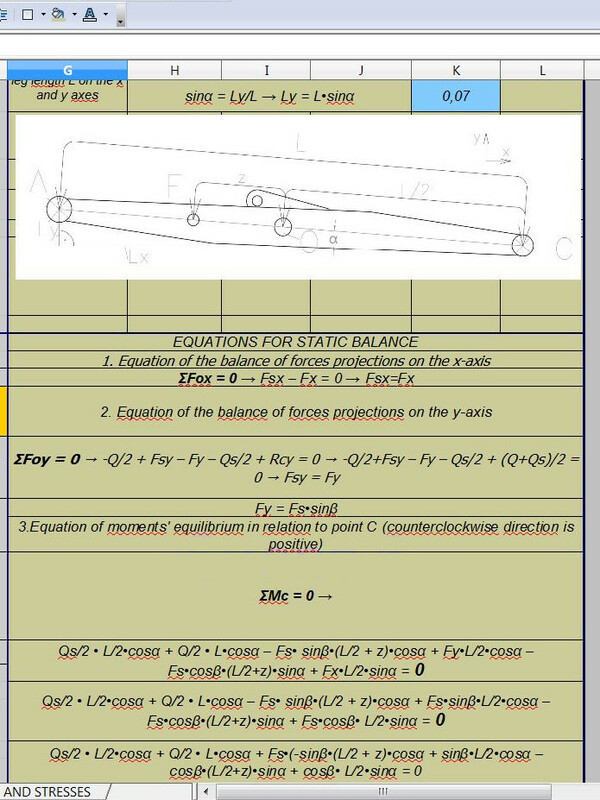 DIY hydraulic lift with papacad.com CAD documentation. 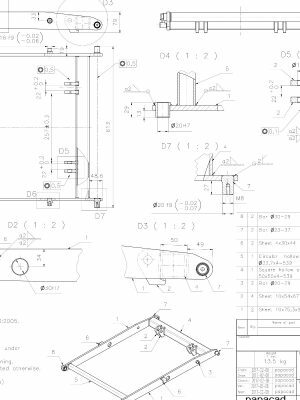 – Drawings with complete descriptions related with the technologies of production. 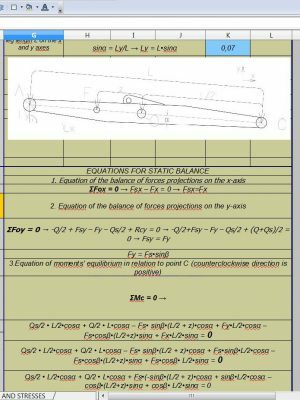 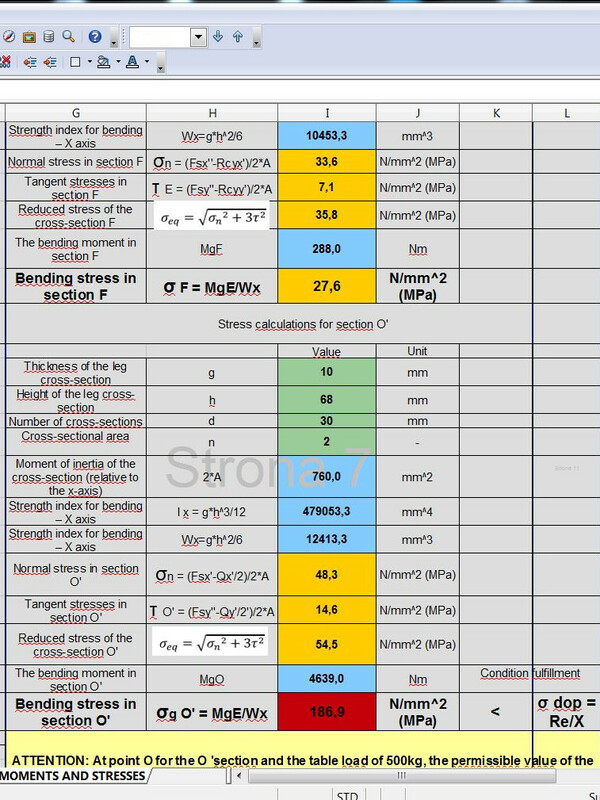 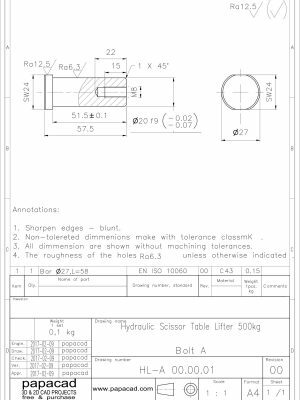 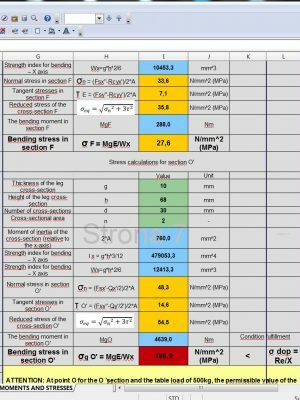 – BOM list with materials, producers, spare parts, parts and drawings numerations. 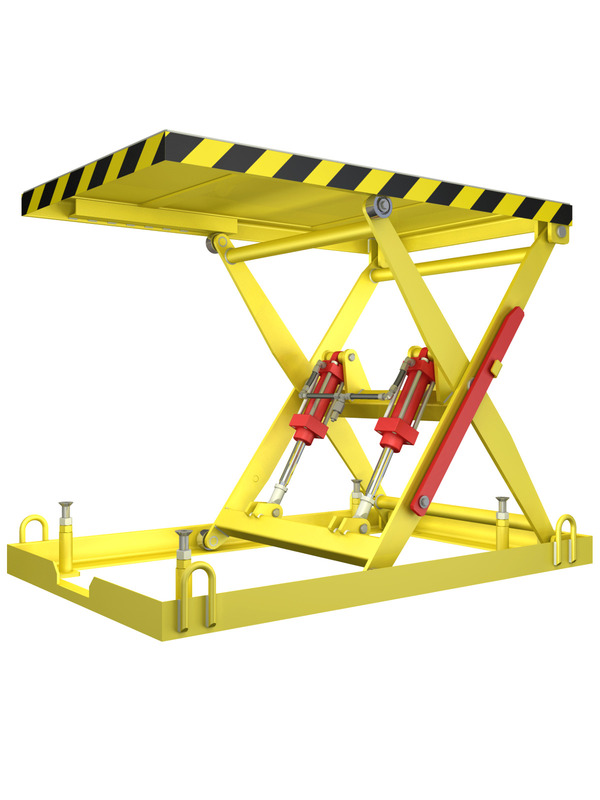 Downloaded 2D CAD documentation allows you to produce own working copy of scissor table lift. 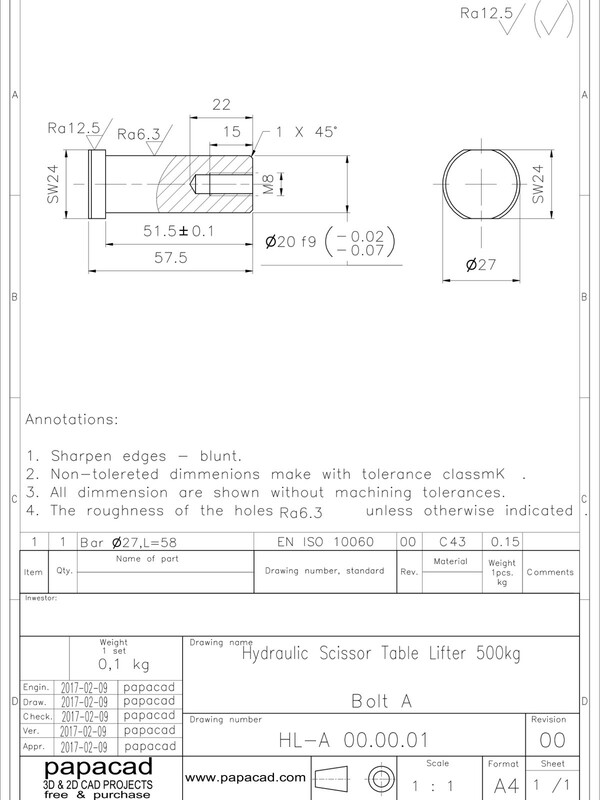 In the parts shopping lists are given: dimensions, sizes, manufacturers and their codes.